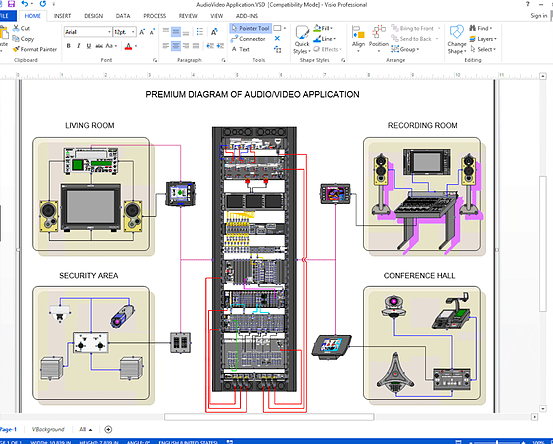 Visualize, design, & document your audio and video assets such as recording rooms, production studios, conference halls, security areas and home theater entertainment systems. 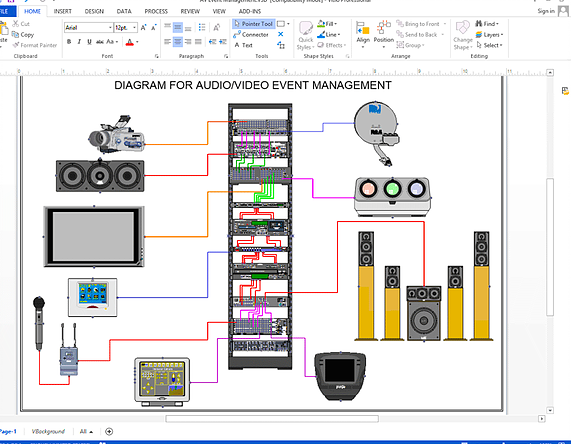 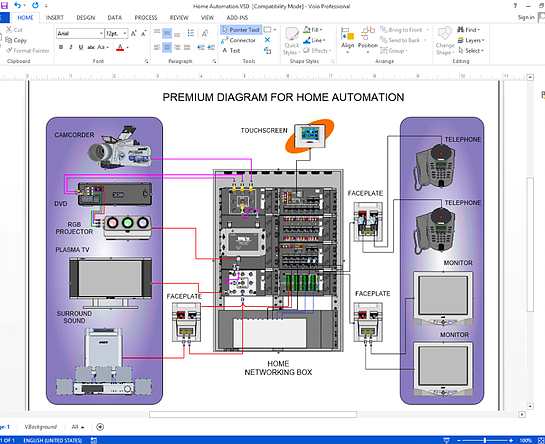 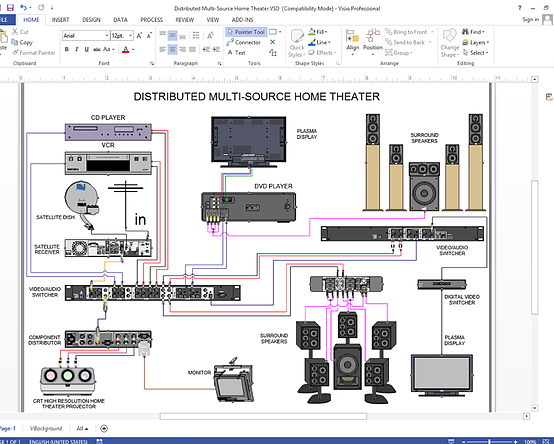 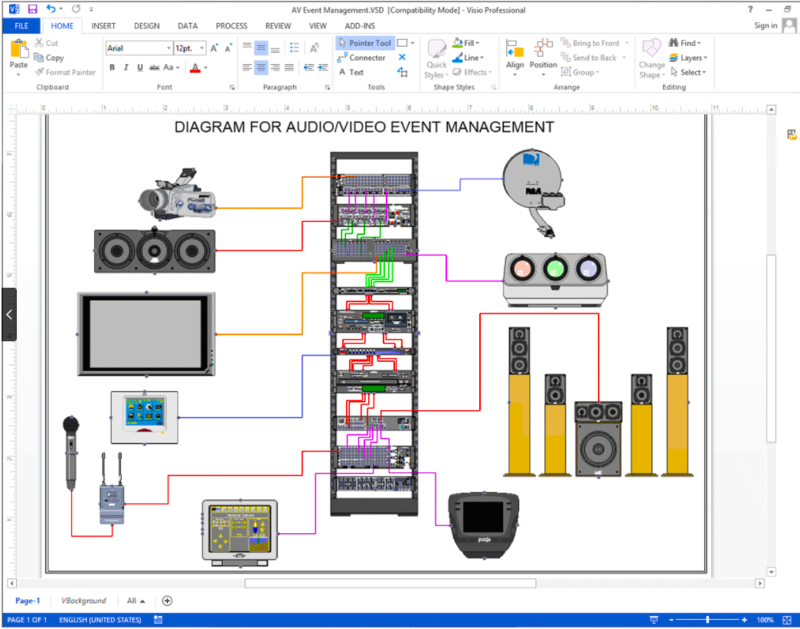 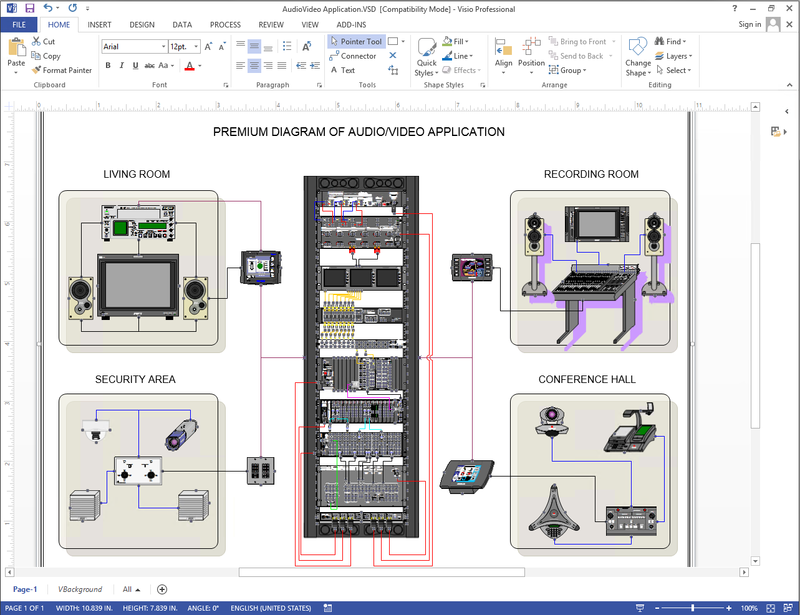 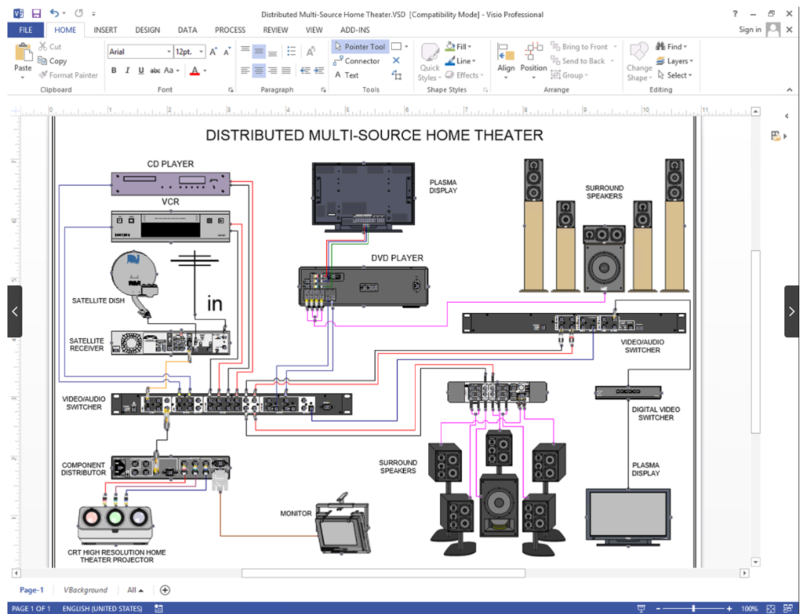 The NetZoom Visio Library offers a broad range of hardware categories such as multi-media, switches, amplifiers, HDMI, DVI, digital coaxial, receivers, microphones, speakers to produce outstanding wiring diagrams easily and efficiently. 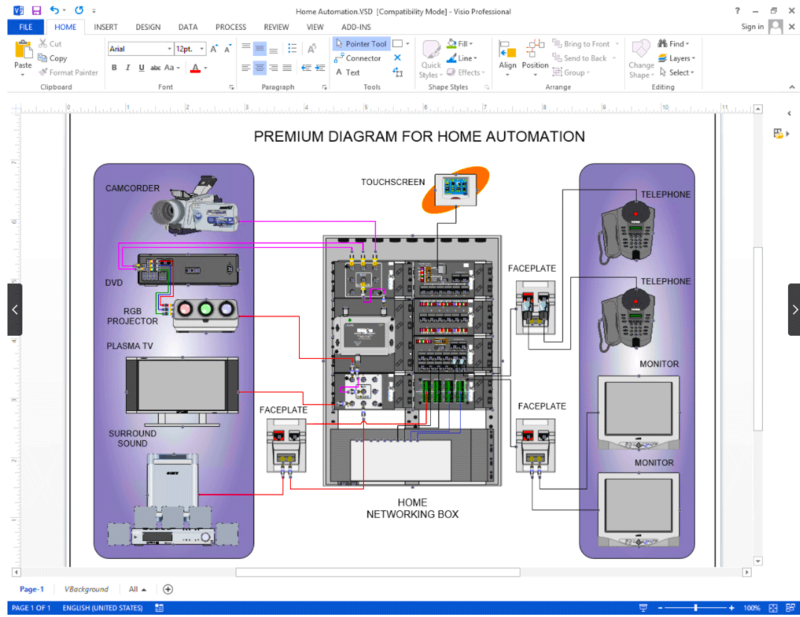 NetZoom Visio Stencils are vector drawings of equipment that scale and snap into place whenever connected.